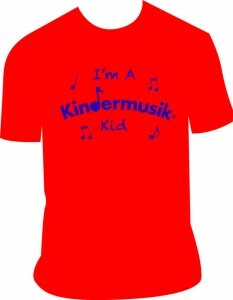 We’re so excited to be offering Kindermusik T-Shirts for the first time as a registration incentive! Enroll by Dec 16 for the upcoming Spring Semester that starts on January 23 and you’ll receive one for your child! Just send in the Registration form with your payment and the t-shirt is yours! Posted in Uncategorized	| Comments Off on Kindermusik T-Shirts are here! As everyone has been posting notes of Thankfulness on facebook recently, my heart is overflowing with all the blessings I have received just in this week alone through my little program. Those of you who know me well, know that it’s not about the Kindermusik brand, but rather the platform Kindermusik gives me to care for families with “little ones” during a very vulnerable time in their lives. -I had another wonderfully talented former teacher/now Kindermusik mommy offer to join my team this week – that makes 4 and counting – I’m starting to feel like the Duggar family! So many amazing things are happening right now that while I sometimes sign my emails “with a song in my heart”, honestly today it feels like the whole orchestra is playing! Posted in Uncategorized	| Comments Off on A Thankful “Note”! Every year around this time my granddaughters and I pack our shoeboxes for “Operation Christmas Child” and this year I’d like to invite you to join with us. It’s a great way to teach little ones about giving to others and a wonderful way to share hope and love with children in difficult situations around the world. 4) come to “Kindermusik Sunday” on Nov 13 at 9AM at Trinity United Church of Christ in Palmyra where the Kindermusik children (and a caregiver) have been invited to bring the boxes, sing a song and send off the boxes with love and a prayer! Please know that your participation is completely optional and you can join in at whatever level you are comfortable with. Together we’ll experience the power of A Simple Gift! Here’s a video I put together last year of my granddaughters and I and my husband packing our shoeboxes, then taking them to our church and on to the drop-off location in Hershey. That’s where the real journey begins as they are sent around the world to children in difficult situations with love and hope! Here we go … getting ready for another school year! Hard to believe that it was 13 years ago this August that I became a Licensed Kindermusik Educator – what a wonderful journey it’s been! And while I’ve brought the magic of Kindermusik to probably thousands of families by now, Kindermusik has been a special blessing to me personally. Having lived in 4 locations during this time it’s my Kindermusik program that’s seen me through a lot of moving, change and starting over. It’s been a wonderful comfort to be able to take this world class program wherever I’ve lived and touch the lives of my favorite people on the planet … mommies, daddies, babies, toddlers and preschoolers! Which now includes my own married children, their spouses and my 5 grandchildren (we said “Welcome Little One” to the newest grandbaby just born yesterday)! Wonderful!!! So come sing and dance with me this Fall, it’ll do us both a world of good – I know that from experience! Posted in Uncategorized	| Comments Off on Fall Registration is NOW OPEN! Help families in Joplin, MO and get a Kindermusik class discount! I’m sure that the recent weather outbreaks have been a topic of conversation in your house as they have been in mine. I know that lots of facebook friends spent time in their basements last evening as a severe thunderstorm went through our area. Watching the reports out of Joplin, MO I can’t imagine how they are coping with all the devastation and loss. Kendra Earl, a college student from Palmyra who attends our church is busy gathering 2 trucks full of supplies to send to them, maybe you saw her story on WGAL. She attends college close to Joplin and is determined to do all she can to help. Let’s join her! Click on this link to the Palmyra BIC Church website and scroll down to see the list of all the items being collected – there’s need for babies items as well. Drop off your donation today, Saturday or Sunday for the first shipment. You may drop off after that for the second shipment leaving on June 12. And here’s a bonus for you – send me an email letting me know that you dropped off a donation and I’ll give you $5.00 off your tuition for an upcoming 5-week or 12-week Kindermusik semester! Together we can make a difference – families helping families! Posted in Uncategorized	| Comments Off on Help families in Joplin, MO and get a Kindermusik class discount! Our 12-week Spring semester started in January with lots of snow! It seemed like every week we were unsure whether we’d be able to hold our classes or not and we did have to do some canceling and make-ups! But we made it! January also marked our first full year in our Palmyra location. We started in Jan 2010 with 17 children in 2 classes and have grown to 56 children in 6 classes and our wonderful teacher Diane has joined me there. Adding in all the other locations over 100 children are now served each week! This week we are heading into our final week of classes in all locations before our one week Spring Break between Palm Sunday and Easter Sunday. It’s time now to get ready for our Late Spring and Summer Semesters! We’ve got 5-week (and a 4-week) sessions coming your way, with Playdates being added soon for the summer! We hope you’ll join in the magical learning that is … Kindermusik! 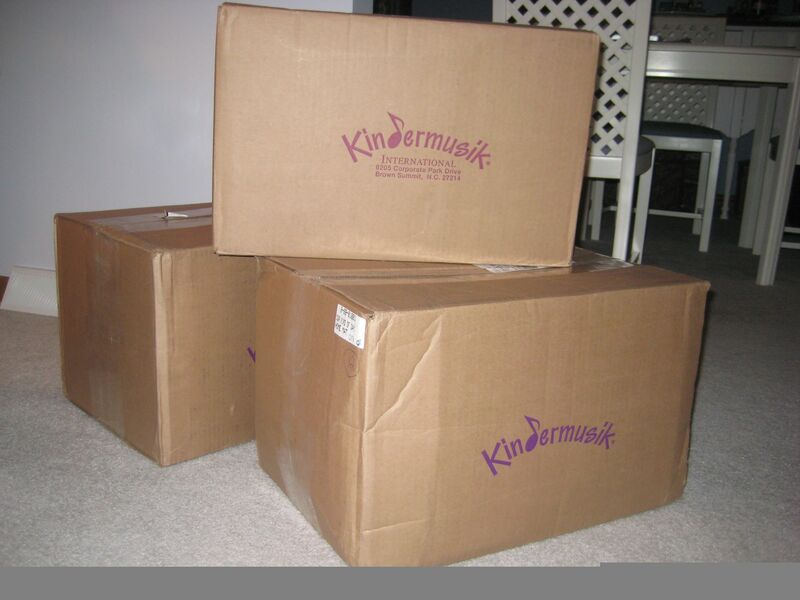 *NEW* Kindermusik Home Kits are here! … and that can only mean one thing – the *NEW* Kindermusik semester is about to begin! Posted in Uncategorized	| Comments Off on *NEW* Kindermusik Home Kits are here! The Best of … Kindermusik 2010! As we ring in the New Year, I thought it would be a good idea to take a look back at the last 15 months since I began “Kindermusik with Carol Anne Friesen” in Palmyra. It’s amazing what can be accomplished in one year and this slideshow is proof of that! From starting in the Fall of 2009 with Kindermusik giveaways at Fall Fling at Palmyra Brethren in Christ Church, who knew I’d be saying “Welcome Little Ones” to so many in Palmyra, Elizabethtown, and the Northern Lebanon County area too! Through all the seasons and all the locations and all the age groups … we really are better together! Send me a quick email if you see yourself pictured (or not!) and I’ll put your name in for a special prize drawing! Be sure you watch to the very end … there are 3 songs that will play … it’s my New Year gift to you! Posted in Uncategorized	| Comments Off on The Best of … Kindermusik 2010! What a fun time we had spending Christmas with our son, daughter-in-law and two grandsons in Chicago. We had our own private photoshoot (thanks to our son) during a Kindermusik “class” together on the last day complete with instruments, puppets, stories and activities. It was a memory we’ll always be able to treasure through this slideshow. Posted in Uncategorized	| Comments Off on A Christmas to Remember! Over the past few years I have been enjoying packing a shoebox at Christmas with my granddaughters for Operation Christmas Child. Last year our church joined in and we packed 169 shoe boxes. This year my granddaughters, our church and the Palmyra Kindermusik classes got involved. Altogether we packed 199 shoeboxes! Operation Christmas Child is a wonderful ministry of Samaritan’s Purse founded by Franklin Graham, the son of Billy Graham. In this video you can follow the journey of 2 shoe boxes (packed by my granddaughters) from decorating, to wrapping, and packing, then joining many others on the ride to the drop-off location, when the real journey begins sending hope and love to children around the world. Just found out this week that the Palmyra Brethren In Christ Church shoe boxes went to Ukraine, Malawi, Columbia and Iraq. Thanks to everyone who made the Operation Christmas Child project such a blessing to so many!